Ngoc Lan started the 1990s with the release of her solo videotape for May Productions. This would be considered her biggest triumph of her career. With a pair of bestsellers of studio albums for Giang Ngoc behind her and now a solo music videotape with sales through the roof, Ngoc Lan was now able to command the highest salary among all other Vietnamese singers. During the height of her success with extensive travels all over the world performing for Vietnamese audiences, a couple of events would cause Ngoc Lan to cancel some of her performances. For the first time ever in her career, this would be a let down to her many fans. The first of these events was the unexpected death of Ngoc Lan's sister. Her sister who had owned a liquor store had been shot to death during a robbery in 1992. It was also during this time, Ngoc Lan would experience mysterious health problems. Unable to find the accurate prognosis, Ngoc Lan would publicly announce that her sister's death was the main reason for the cancellation of her shows. An absence from the spotlight would allow Ngoc Lan to concentrate on her personal life, as well as her health. After a long and frustrating search to find out what was wrong with her, it would be discovered that what she had been suffering from was a condition known as Multiple Sclerosis. As her disease went into remission, Ngoc Lan decided to get married. 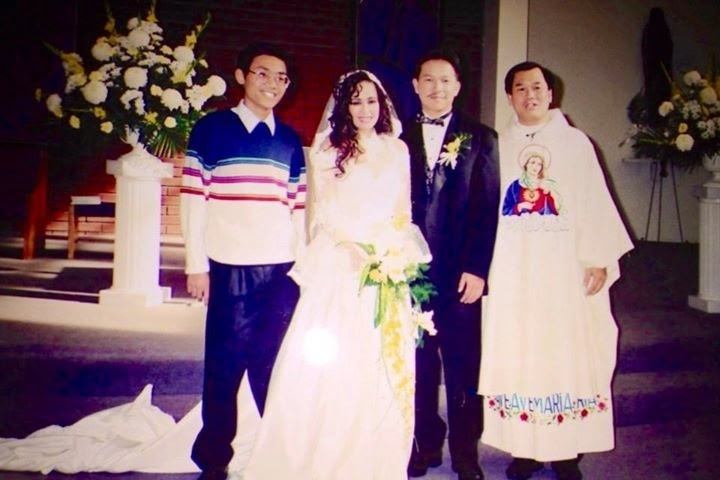 In 1994, in a private small ceremony Ngoc Lan became wed to a fellow artist by the name of Kelvin Khoa. The newlywed couple would purchase a house in the upper middle class suburb of Irvine, California where a recording studio was built inside for her recordings. As her Mulitple Sclerosis went into remission, Ngoc Lan felt it was time to make a comeback. A much publicized sold out performance would follow at the Anaheim Marriott where it became apparent of her medical condition. In front of a sold out audience, Ngoc Lan tried her hardest to put out a stellar performance. But to everyone present that night, she appeared to be rather off during her live performance. Other featured performers that night included Tuan Ngoc, Don Ho, Lynda Trang Dai and then newcomer, Thanh Ha. Although the event was an enormous financial success for producer Quoc Thai of May Bon Phuong, for Ngoc Lan's fans her performance that night was a disappointment. In the years to come, Ngoc Lan insisted on keeping her health matters from the public. She kept at a grueling pace for as long as she could recording, touring and making video appearances for Thuy Nga Paris and Asia Productions. But during a performance when Ngoc Lan had to be walked onto the stage, it became apparent to the public that her sight had been affected by her ongoing battle with Multiple Sclerosis. Ngoc Lan would make her last professional video appearance in 1998. And on March 6, 2001, Ngoc Lan would lose her long battle with Multiple Sclerosis and took her last breath.